The annual Christmas Parade in downtown Delaware will be Sunday December 3rd at 3:00 PM. 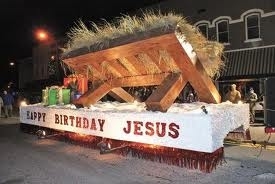 St. Mark's Lutheran Church will again be participating with their musical, decorated trolley...a crowd favorite. Please plan on watching!